Titled Being Ruby Rich, the four-day event will pay tribute to Rich’s work through multiple film screenings and panel discussions. Rich will also deliver the keynote address. The event is the brainchild of Selina Robertson and Sophie Mayer of Club des Femmes, now celebrating 10 years of organizing feminist/queer film events in London. 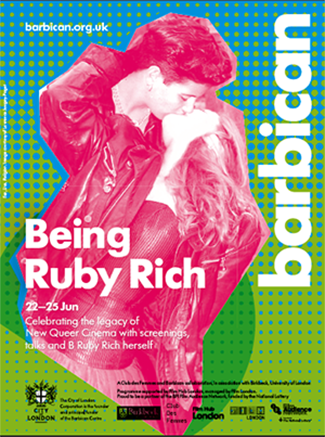 During her visit to London, Rich will also attend a one-day symposium in her honor titled Being Ruby Rich: Film Curation as Advocacy and Activism, presented by Birkbeck, University of London. As a film critic, Rich has been a programmer and juror at major film festivals around the world and has been published in The Guardian (UK), The Village Voice, and The New York Times. She has also provided film commentary for NPR’s All Things Considered and the Criterion Collection. In 2012, she received the Frameline Award at the 36th San Francisco International LGBT Film Festival, an honor awarded annually to a person who has made a major contribution to LGBT representation in film, television, or the media arts. In a recent interview with Sophie Mayer, Rich explained what first drew her to film and feminism. 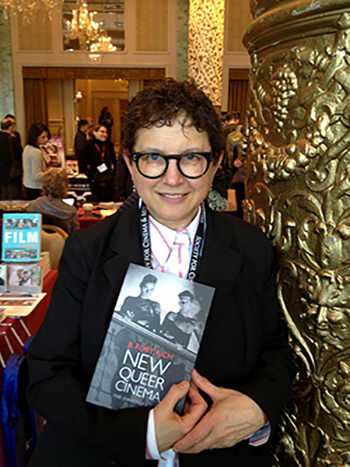 Rich is the author of several books on film, including New Queer Cinema: The Director's Cut, and Chick Flicks: Theories and Memories of the Feminist Film Movement. She is also the editor of Film Quarterly, the academic film journal of the University of California Press. Established in 1958, the peer-reviewed journal examines all aspects of film history, film theory, and the impact of film, video and television on culture and society.